There are a number of reasons why Castle Pines homeowners turn to Swan Plumbing, Heating & Air for reliable residential plumbing and HVAC services. Our technicians are licensed, industry-certified, and have more than 40 years of combined experience, we are available seven days a week for emergency repairs, and we back all of our work with a 100% satisfaction guarantee! When you call Swan, you know that you will get same-day service, up-front pricing, and a technician with the training and expertise to fix your plumbing or HVAC problem right the first time. We back all of our repairs and installations with a 100% satisfaction guarantee. 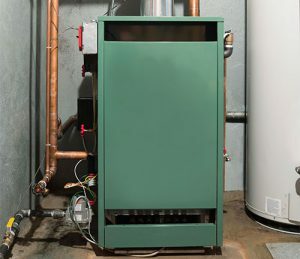 When winter weather comes to Castle Pines, it is important to have a reliable furnace or boiler. You can count on Swan Plumbing, Heating & Air for all of your heating repair and installation needs. Some of the most common furnace repair issues that we encounter in Castle Pines homes include worn motor belts, clogged filters, thermocouple malfunctions, and motor failures. Contact us today for more information about our furnace repair services or to schedule a service call. An annual tune-up is the key to make sure that your furnace performs efficiently and safely throughout the winter heating season. Our Castle Pines HVAC technicians are trained to service all major makes and models of furnaces. Our comprehensive tune-up package includes inspecting, cleaning, and testing your furnace’s critical safety and operational systems. We will also give you an estimate for any recommended repairs. Although furnaces can last up to 18 years, Energy Star guidelines recommend replacing your furnace after 15 years to save money on your utility bills. If you are fed up with having a furnace that does not keep your home warm and costs a fortune to repair and operate, contact us today for an estimate for a high-efficiency replacement unit. If you live in Castle Pines or the surrounding area, our technicians are available to handle any boiler issue that you might encounter, including pump and thermostat malfunctions, pressure loss, blockages, and leaks. If your boiler is more than 12 years old, it usually makes more financial sense to invest in a new boiler than to repair your existing one. The initial cost of a replacement boiler is usually offset by lower utility bills and fewer repairs. Contact us today to have one of our installation professionals give you an estimate for a new boiler for your home. Our Castle Pines plumbing technicians are ready to tackle all of your residential plumbing needs. From bathrooms and kitchens to whole house re-piping, no plumbing job is too big or too small. You also have the peace of mind of knowing that our plumbing services are backed by our 100 percent satisfaction guarantee. A home plumbing issue can quickly turn into a major headache. We provide Castle Pines residents with same-day plumbing service for emergency plumbing issues, including clogged drains and garbage disposals, drain cleaning, leaking faucets and sinks, and leaking pipes. We also handle non-emergency issues, such as garbage disposal and sink installations and re-piping. We offer affordable drain and sewer line cleaning services throughout the Castle Pines area. Our team of plumbing professionals will make sure all of your drain and sewer issues are fixed correctly on the first visit. If you experience a water heater issue in your Castle Pines home, a Swan water heater technician can get your hot water flowing again quickly and affordably. We service and repair all types of water heaters, including solar, gas, electric, conventional, and tankless. You rely on your sump pump to keep your home and family safe and dry in the event of a flood. Our technicians are available seven days a week for emergency repairs. We can also recommend and install a high-quality sump pump in your basement if you do not currently have one. If you are in need of reliable and cost-effective AC maintenance, repair, or installation, look no further than Swan Plumbing, Heating & Air. Our HVAC experts can make sure that your family remains cool throughout the dog days of summer. Although air conditioners are manufactured to provide years of reliable service, there is a good chance that the AC in your Castle Pines home will eventually need a repair. Some of the most common AC repair issues that we encounter include low air flow, refrigerant leaks, frozen coils, sensor problems, drainage issues, electric control malfunctions, duct work leaks, and compressor failures. With Swan, reliable AC repair service is just a phone call away. Regular maintenance is the best way to ensure that your AC keeps your family cool for years to come. Our maintenance services can help you identify and address minor issues before they become costly repairs. Routine maintenance can also lower your utility bills by keeping your AC running at peak efficiency. Our AC tune-up service includes a multi-point check of more than 20 of your cooling system’s critical operating components, including coils, filters, ductwork, thermostat, air filtration system, contactor, condenser, and refrigerant. If your AC is more than 10 years old, a new air conditioning system installed by a Swan HVAC professional can save you as much as 20 percent on your utility bills. Indications that it is time to invest in a new AC system include an increased number of repairs, inconsistent cooling, dust or humidity problems in the home, and excessive noise. Call us today to have one of our installation technicians give you an estimate for a high-efficiency air conditioning system for your home.